One of our favorite guitar manufacturers, Aristides Guitars, recently released this factory tour of their facility in the Netherlands! 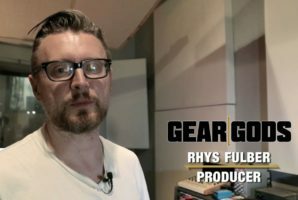 In this mini-documentary, the company’s CEO Pascal Langelaar walks you through the entire process where their guitars are made from start to finish. If you know anything about Aristides, you know that their methods are far from conventional, and this tour is just about as wild as you’d expect. You can learn more about Aristides Guitars on their Facebook page and website.